Some experts are predicting that we can anticipate a serious shortage of physicians in upcoming years. And for those who are currently searching, it seems that the demand for new hires may already be outpacing the supply of neurologists available to fill such openings. Michael F. Finkel, MD, who has been a neurologist for 28 years – the last six-and-a-half at the Cleveland Clinic in Jacksonville, FL – has been trying to recruit a new neurologist for the past two years. Dr. Finkel observed: “It is difficult to recruit individuals trained in neurology who have not taken fellowships, but the fellowship creates several problems. Fellows tend to want to work mostly or only in their subspecialty, a condition which is impractical to impose in a general practice setting. One neurologist practicing in suburban Chicago for over 20 years, who preferred to be quoted anonymously, said, “Some of the recent candidates appear to have a rather inflated sense of self-worth and corresponding demands for high salaries and benefits.” Nevertheless, his practice has been quite successful in hiring new associates by word-of-mouth (and without recruiters), a factor he attributes to practicing in an attractive suburb of a desirable city. Barry H. Bikshorn, MD, another neurologist practicing in the suburbs of Chicago, agrees that geography plays a role in recruitment. “Part of it is luck and we have been fortunate over the years in having local connections that tip us off to ‘somebody really good finishing,’” he said. “We also divide up our work equally and have a good track record of getting associates into the partnership track, factors that help with retention…. I couldn't be happier with our two most recent associates. They bring freshness and enthusiasm to the practice that gives me a bright perspective.” In fact, the new crop of neurologists appears to be a savvier group. Andrew Rogove, MD, PhD, a PGY-4 at the Department of Neurology and Neuroscience at the Weill Medical College of Cornell University, began his search last September by posting a notice on the National Association of Physician Recruiters Web site, www.napr.com. He ultimately chose a recruiting firm that specializes in neurology and neurosurgery placement, MedHIRE, www.emedhire.com. The recruiter set up several interviews for him based on his geographic and practice preferences and Dr. Rogove accepted a position within two months. He is thrilled with his choice and believes that the process was made easier by an attentive recruiter with a regional presence. In a noon conference on the subject for neurology residents, he advised that it is never too early to start setting goals and thinking about options. He suggested that they will do better if they have an idea of where they want to practice, what kind of practice they are willing to join – for example, single specialty, multi-specialty, hospital-based – and their financial expectations. He also advised them to hire an attorney who specializes in physician-employer contracts, as he did, in order to review and help negotiate terms for employment. Laura Roberts, a neurology recruiting specialist for MedHIRE, said candidates often want to work near the geographic region in which they trained, making placements more difficult to secure. Although solid statistics regarding recruitment efforts in the field of neurology are unavailable and many practices are reluctant to disclose their search efforts, Dendrite, the AAN classified advertising service boasts a 20 percent increase over the past year in practices seeking to fill positions. Available since 2003 in both print and searchable online forms, the service averages 60 new ads per month, a number that clearly outstrips the number of new graduates. One possible explanation is that physicians appear to be changing jobs more often, a trend estimated to affect more than 10 percent of the physician workforce per year. In fact, Ms. Roberts noted that 50 percent of her clients are employed neurologists looking to make a change. Why is there such a high job turnover? Some experts speculate that professional dissatisfaction is at an all-time high and that there is a misalignment of expectations between established physicians hiring young doctors into practices they have built with long hours and at great personal sacrifice and newer trainees reluctant to compromise on lifestyle and family values. Others believe that inflated first-year packages targeted to lure physicians in this highly competitive market fall short in subsequent years when productivity expectations kick in and fail to be met, resulting in a radical income drop. Anecdotes abound about neurologists hired by a hospital or university system seeking to edge out existing medical groups, only to find that productivity was less than projected and that they were abruptly cut loose after setting roots in a new community. Dr. Awad plans to hire a recruiter in the near future. But typically, small practices are unable to afford the search initiation fees and hourly billings of large recruitment firms and prefer to work with local firms who are willing to work on a contingency basis. Do you have some successful recruitment or retention strategies to share with fellow neurologists? If so, we'd like to hear from you – for publication. 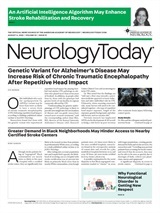 Send your ideas in 200 words or less to neurotoday@lwwny.com. Include your name, full title, and contact information. ✓ Neurologists and physician recruiters discuss the challenges and opportunities for recruiting for new neurology positions.